My coaching philosophy is devised from proven research and experience of what some of the worlds leading athletes and coaches have used and also from personal experience, knowing what has worked and what has impaired or halted my progression as an athlete. I am a current Great Britain International Athlete and have successfully coached a series of athletes using very similar approaches. My coaching influences come from previous personal coaches and my current lead coach and mentor Steve Vernon. Having a coach can help you with nearly every aspect of your running, giving you guidance and structure in your training, ensuring everything you do is progressive and most importantly has a purpose. From runners wishing to run their first 5km to Ultra Marathoners training for the Comrades Marathon. Along the years I have had a coach every step of the way, benefiting from their valuable knowledge and experience, developing as a junior into a successful professional athlete. Without the impact of a coach I can’t imagine I would have ever got to the level I have. A coach for me acts as an educator, mentor and a friend. 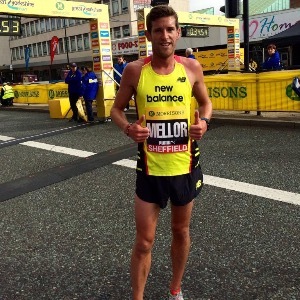 I am a current Great Britain International long distance runner and compete professionally for Team New Balance Manchester. I enjoy coaching as I am passionate about helping others and the profits generated from sharing training plans helps fund and support me as a professional athlete allowing me to compete with my international rivals and travel to races and training camps. I have personal bests of 62:23 for half marathon and 2:12.57 for the marathon distance both times recorded in 2017. In order to build a successful athlete/coach relationship I expect good communication skills and a willingness to listen with the right attitude, energy and work ethics. Success. Coach Jonny Mellor has been notified of your message.